UPDATE | December 11, 2017 | 12pm PT - We are happy to report the Dean, Gerda and Trixie Koontz Campus is safe and the dogs have returned to campus. All is well and the campus is open. Many thanks to the staff and volunteers who fostered dogs and provided wonderful support. UPDATE | December 9, 2017 | 9:20am PT – While the wildfires in the area have impacted our community, the Dean, Gerda and Trixie Koontz Campus in Oceanside is safe and unharmed. We would like to express our deep appreciation for the dedication displayed by our southwest staff and volunteers. Their concern to ensure the safety and well-being of all and their readiness to evacuate at a moment’s notice, is truly impressive. Of course, we are also grateful for the first responders and their efforts to keeping the community safe. We plan to have dogs in professional training return to campus this Sunday. We will take Saturday afternoon to check in and deep clean. Those fostering dogs will be contacted by staff to schedule a time to return dogs on Sunday. If the situation changes and the campus will need to remain closed due to the shifting fire paths, we have a plan in place to address these circumstances. 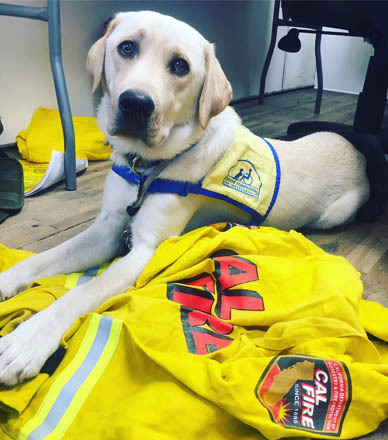 UPDATE | December 7, 2017 | 2:50pm PT - Due to current wildfires in the San Diego area, Canine Companions has decided to evacuate the dogs and staff from our Southwest Training Center in Oceanside, CA. Please note the campus remains safe, and there is no indication that there is imminent danger of fire. However, there is a concern that, if the situation necessitates the rapid evacuation of 69 dogs, it would be harder to remove everyone in a safe and orderly way. Dogs in professional training are being transported by staff to safe locations outside the affected areas. All the logistical details such as food, bowls, meds, etc. have been accounted for. Our staff continues to do an amazing job; the dogs are in good hands, and we will ensure all are safe and secure. The campus and offices will remain closed at least through Friday, December 8, 2017. If you are a volunteer puppy raiser or graduate who needs assistance, please call our emergency line at 1-800-833-5388. December 7, 2017 | 2pm PT - Our Southwest Training Center is currently closed due to fires in the area. Staff and dogs are secure and safe at this time. We have an emergency plan in place. 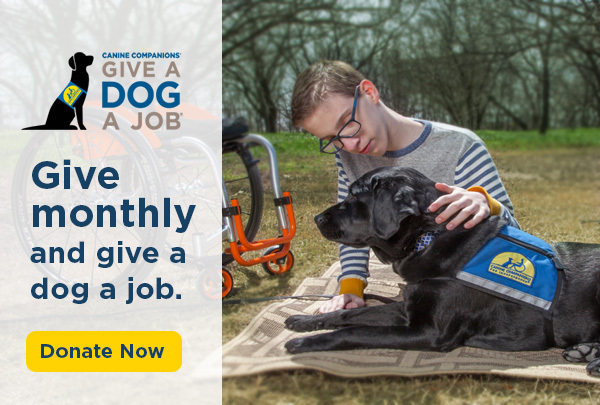 Volunteer puppy raisers and graduates that need assistance should call our emergency line at 1-800-833-5388.